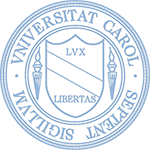 The University of North Carolina at Chapel Hill (UNC, North Carolina, or simply Carolina) is a public research university located in Chapel Hill, North Carolina, United States. 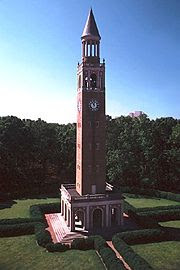 The university is the oldest in, and flagship of, the University of North Carolina system. First enrolling students in 1795, UNC is the oldest public university in the United States and is one of the original eight schools known as a Public Ivy. Academically, all undergraduates receive a liberal arts education and have the option to pursue a major within the professional schools of the university later in their undergraduate career. In both teaching and research, UNC has been highly ranked by publications such as BusinessWeek and U.S. News & World Report. Along with Duke University in Durham and North Carolina State University in Raleigh, the university forms one of the corners of the Research Triangle. UNC has a strong history in athletics, most notably in men's basketball and women's soccer. The North Carolina Tar Heels share rivalries with other Tobacco Road schools and have provided many olympians to United States teams. The student newspaper The Daily Tar Heel has won national awards for collegiate media, while the student radio station WXYC provided the world's first internet radio broadcast. Chartered by the North Carolina General Assembly on December 11, 1789, the university's cornerstone was laid on October 12, 1793, near the ruins of a chapel, chosen due to its central location within the state. 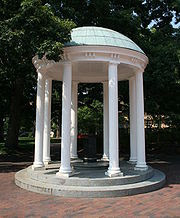 Beginning instruction of undergraduates in 1795, UNC is the oldest public university in the United States, and the only that awarded degrees in the 18th century. During the Civil War, North Carolina Governor David Lowry Swain persuaded Confederate President Jefferson Davis to exempt some students from the draft, so the university was among few in the Confederacy that managed to stay open.However, Chapel Hill still suffered the loss of more of its population during the war than any village in the South, and when student numbers did not recover, the university was forced to close during Reconstruction from December 1, 1870 until September 6, 1875. Despite initial skepticism from university President Frank Porter Graham, on March 27, 1931, legislation was passed to group UNC with the State College of Agriculture and Engineering and the Women's College to form the Consolidated University of North Carolina. In 1963, the consolidated university was made fully coeducational. As a result, the Women's College was renamed the "University of North Carolina at Greensboro," and the University of North Carolina became the "University of North Carolina at Chapel Hill. "Predating the other two schools by 98 years, UNC became the de facto flagship university of the new statewide system. During the 1960s, the campus was the location of significant political protest. Prior to the passage of the Civil Rights Act of 1964, protests about local racial segregation which began quietly in Franklin Street restaurants led to mass demonstrations and disturbance. The climate of civil unrest prompted the 1963 Speaker Ban Law prohibiting speeches by communists on state campuses in North Carolina. The law was immediately criticized by university Chancellor William Brantley Aycock and university President William Friday, but was not reviewed by the North Carolina General Assembly until 1965. Small amendments to allow "infrequent" visits failed to placate the student body, especially when the university's board of trustees overruled new Chancellor Paul Frederick Sharp's decision to allow speaking invitations to Marxist speaker Herbert Aptheker and civil liberties activist Frank Wilkinson; however, the two speakers came to Chapel Hill anyway. Wilkinson spoke off campus, while more than 1,500 students viewed Aptheker's speech across a low campus wall at the edge of campus, christened "Dan Moore's Wall" by The Daily Tar Heel for Governor Dan K. Moore.A group of UNC students along with Aptheker and Williamson filed a lawsuit in U.S. federal court, and on February 20, 1968, the Speaker Ban Law was struck down. From the late 1990s onward, UNC expanded rapidly with a 15% increase in total student population to more than 28,000 by 2007. This was accompanied by the construction of new facilities, funded in part by the "Carolina First" fundraising campaign and an endowment that increased fourfold to over $2 billion in just ten years.Professor Oliver Smithies was awarded the Nobel Prize in Medicine in 2007 for his work in genetics. Notable leaders of the university include the 26th Governor of North Carolina, David Lowry Swain (president 1835-1868); and Edwin Anderson Alderman (1896-1900), who was also president of Tulane University and the University of Virginia. The current chancellor is Holden Thorp, appointed at the age of 43 after less than 1 year as Dean of Arts & Science. UNC offers 71 bachelor's, 107 master's and 74 doctoral degree programs.The university enrolls more than 28,000 students from all 100 North Carolina counties, the other 49 states, and 47 other countries. State law requires that the percentage of students from North Carolina in each freshman class meets or exceeds 82%. At the undergraduate level, students spend their first two years at UNC working to fulfill "perspective" requirements. English, social science, history, foreign language, mathematics, and natural science courses are required of all students, ensuring that they receive a broad liberal arts education. The university also offers a wide range of first year seminars for incoming freshmen. After their sophomore year, students move on to the College of Arts and Sciences, or choose an undergraduate professional school program within the schools of medicine, business, education, pharmacy, information and library science, public health, or journalism and mass communication. The university has a longstanding honor code known as the "Instrument of Student Judicial Governance," supplemented by an student-run honor court to resolve issues with students accused of academic and conduct offenses against the university community. Faculty are forbidden to punish students caught cheating in any way, such as with failing grades, without permission of the court. Friday Center for Continuing Ed. For the 2008 results, data from two UNC campuses - Chapel Hill and Greensboro - were merged together to form the scores here presented.